With temperatures hitting 34 degrees centigrade these refugees queue for hours in the port town of Mytilini to purchase ferry tickets to mainland Greece to continue their journey into Europe. 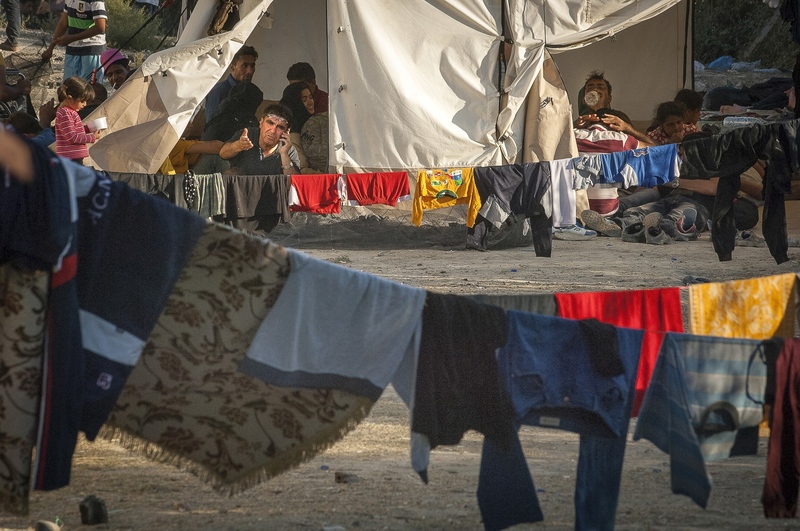 With temperatures hitting 34 degrees centigrade, Syrians, Afghans, Iraqis and many other nationalities of refugees endure the heat at Mytilini Port harbour. 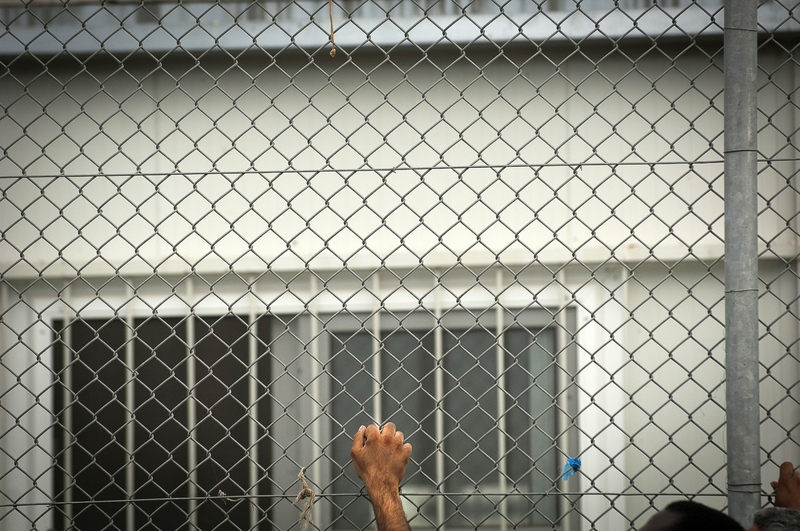 Thousands of new refugees are still arriving daily from Turkey to the confused and contradictory registration procedures initiated by the Greek authorities. 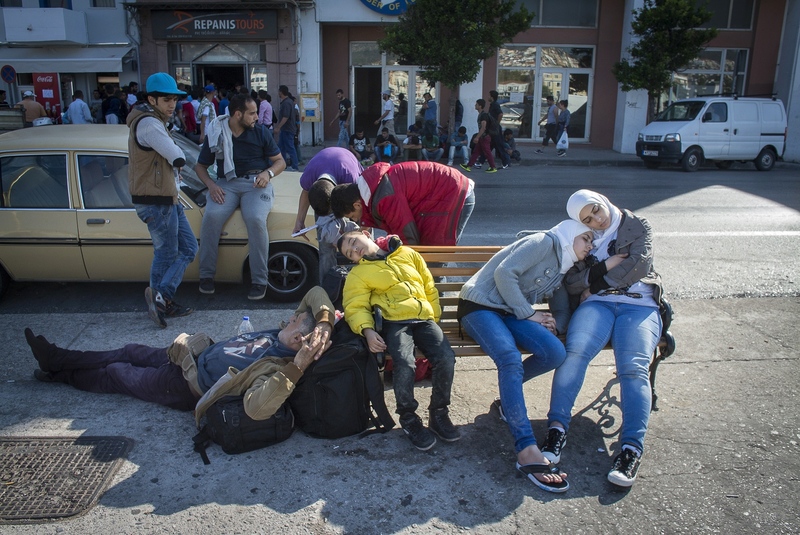 Exhausted refugees sleep at Mytilini Port harbour. Thousands of new refugees are still arriving daily from Turkey. Just a stones throw from Mytilini Airport on the Island of Lesbos, Greece and with the coastline of western Turkey in full view. 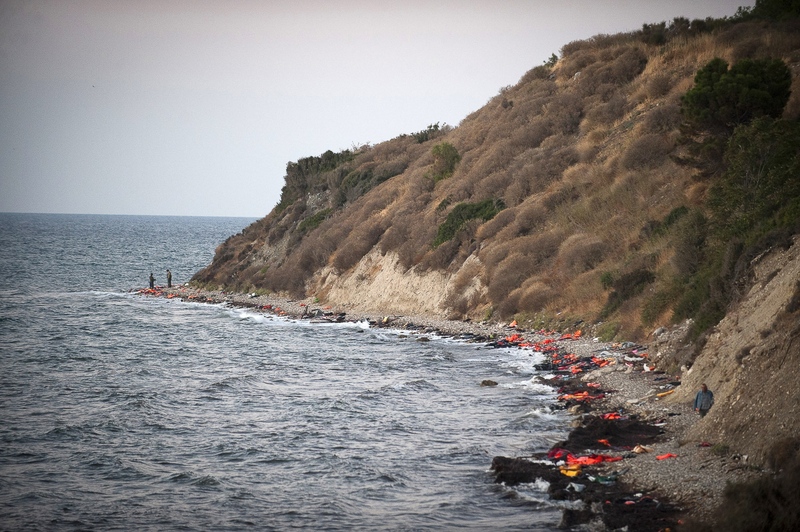 You can find all the evidence of migrants coming ashore. The coast line lays littered with rubber rings and pseudo life jackets used by desperate peoples fleeing war and persecution. Hege Bjomebye is a voluntary aid worker from Norway and Is using her own limited holiday time from working at a Refractive Surgery (eye laser surgery) to help these cold, wet, hungry and tired refugees from Syria and Afghanistan arrivlng on the coast at 'Limantziki' beach near Mithimna, Lesbos, Greece this morning. 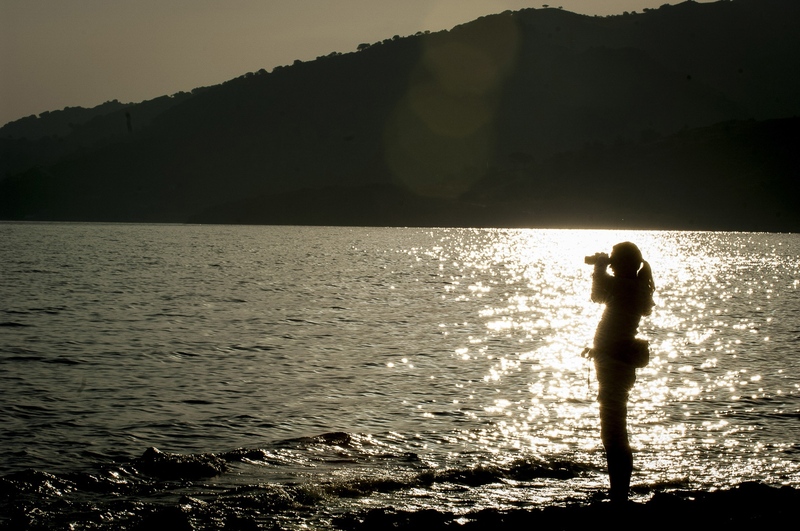 Here she uses her binoculars to spot the incoming boats. Hege Bjomebye, a voluntary aid worker from Norway, uses her own limited holiday time from working at a Refractive Surgery signals to approaching refugees from Syria and Afghanistan arriving on the coast at 'Limantziki' beach near Mithimna, Lesbos. 7.30 am, Syrian and Afghan refugees arrive by boat from the western coast of Turkey at Limantziki beach, Eftalou,near Molivos, Greece. They are met by a small but dedicated group of volunteer aid workers, who distribute water and arrange transport if possible for the extra 40 kilometers to Moria or KaraTepe Registration camp. Transport facilities are patchy at best. 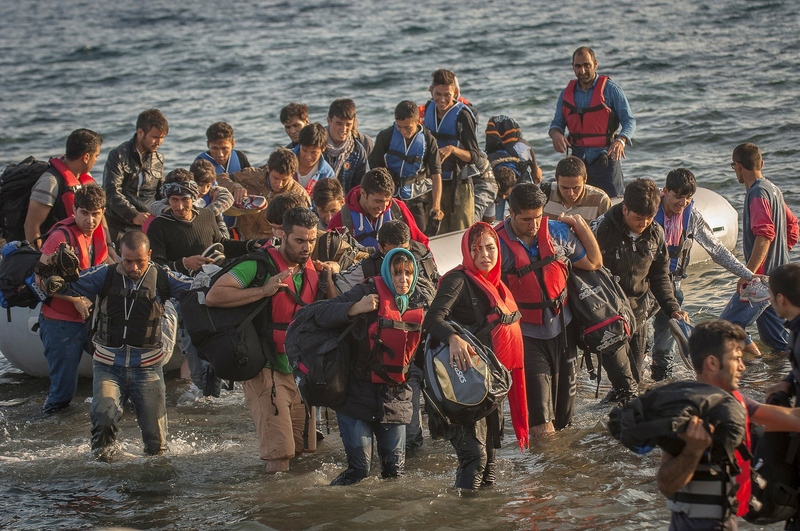 Refugees arrive by boat from the western coast of Turkey at Limantziki beach, Eftalou,near Molivos, Greece. They are met by a small but dedicated group of volunteer aid workers, who distribute water and arrange transport if possible for the extra 40 kilometers to Moria or KaraTepe Registration camp. Transport facilities are patchy at best. 7.30 am, Syrian and Afghan refugees arrive by boat from the western coast of Turkey at Limantziki beach, Eftalou,near Molivos, Greece. 22 year old Hassat Abdul Haman from Aleppo, Syria, expresses his gratitude on his safe arrival at Limantziki beach near Mithimna, Lesbos, Greece, after crossing the Aegean Sea from Western Turkey in a rubber dinghy. 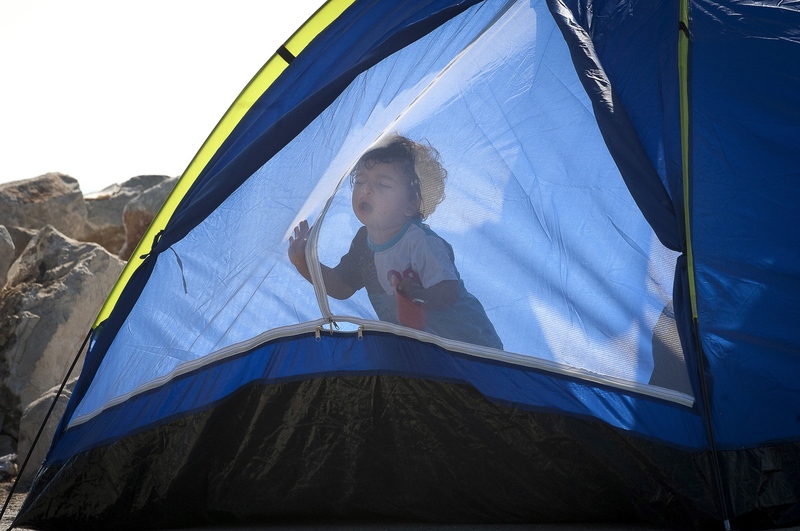 Tents in Moria Registration Camp, Lesbos, Greece. Mobile communication is essential for the refugees. Keeping contact with those who have travelled to Europe before them provides them with information on what to expect, which roads are still open, which train routes to take. This information is likewise passed on to those leaving Turkey, and down the line to Syria, Iraq, Afghanistan etc. 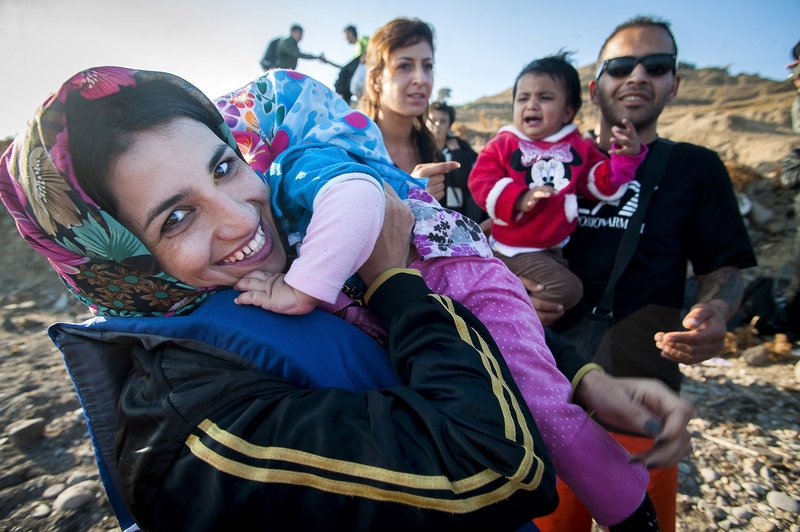 An Afghan family after their safe arrival near Molivos, Greece. 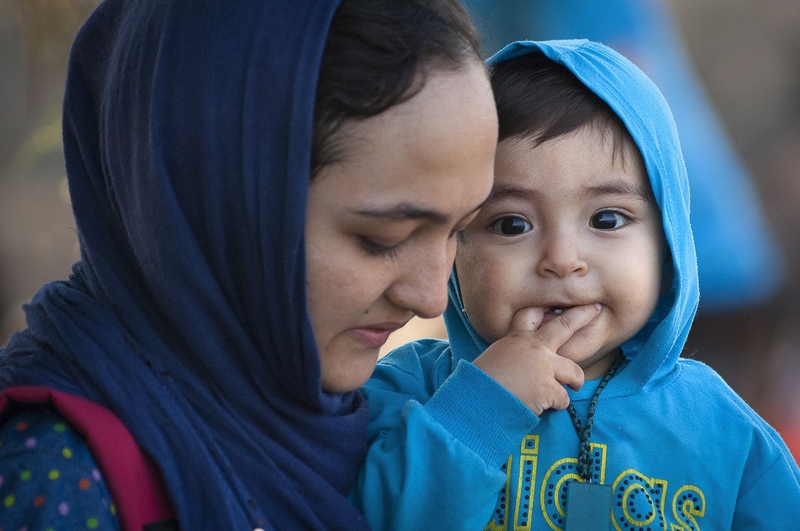 An Afghan woman with her child after their safe arrival near Molivos, Greece. 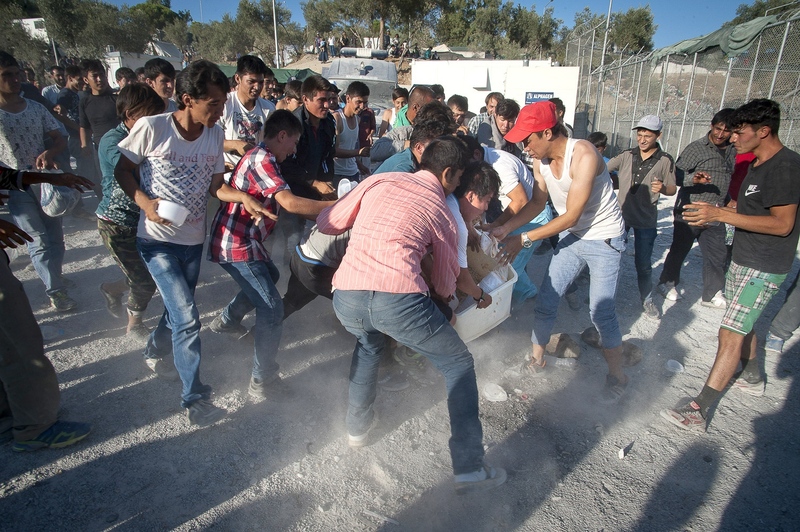 Scuffles break out at Moria Registration Camp when it became apparent that the food provided by volunteers would not be enough for everyone. 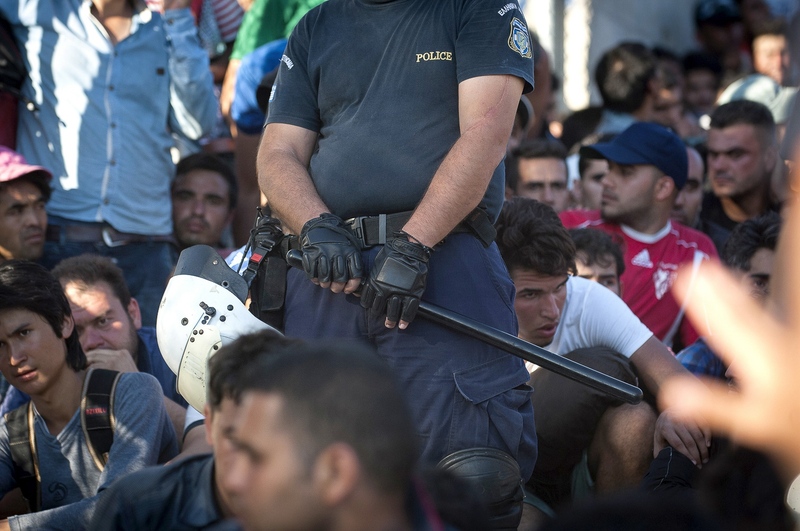 Welcome to Europe: Greek Police try and keep calm in the desperate atmosphere of Moria Registration Camp, Lesbos. 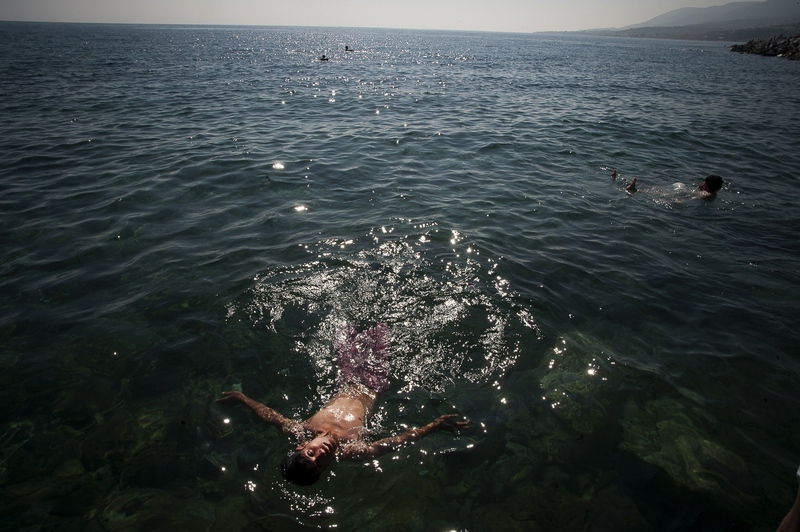 The Masavee family from Bamiyan, Afghanistan, enjoy their first ever swim in the sea near PIKPA. Weakened by the hardships of the journey and the hours spent in the line at 34 degrees centigrade waiting for the registration papers that will allow them to travel on to other European destinations this refugee collapsed at Moria Registration Centre. Welcome to Europe: inadequate numbers of Greek Police try and keep calm in the desperate atmosphere of Moria Registration Camp, Lesbos. The lack of continuity in the procedures and the failure to explain what was going to happen led to a mood of panic among the refugees. 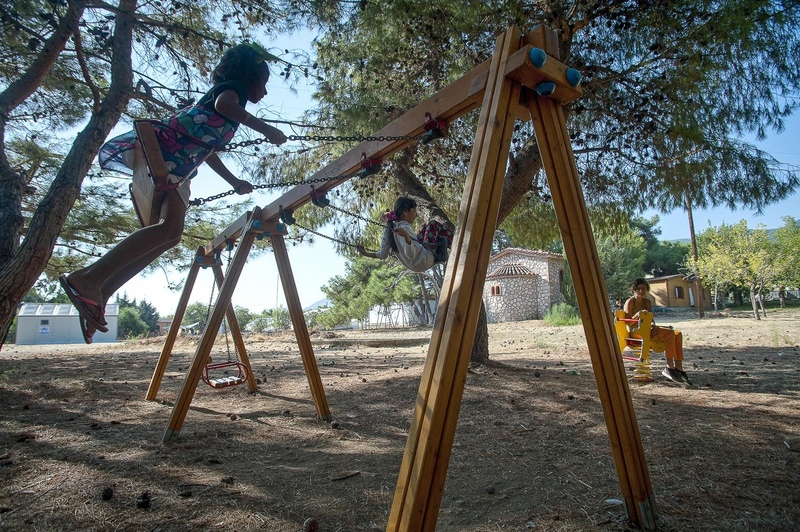 Refugee children play in the grounds of PIKPA – The Village of Altogether - Mytilini, Lesbos, Greece. Waiting in line at Moria Registration Camp for refugees. All migrants have to wait here to receive their all important documents so they can continue to travel through Greece to other destinations. 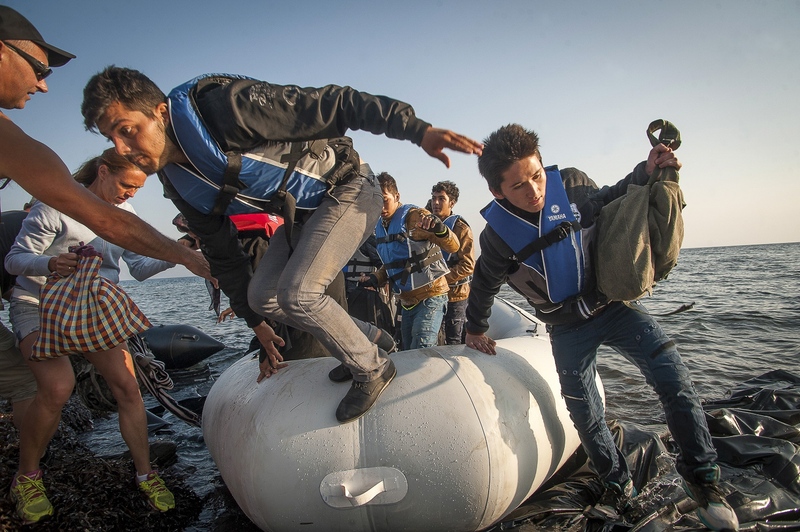 Here are the images and story from a recent assignment on the Greek Island of Lesbos. The piece appears in this months Readers Digest (UK). The situation on the Island of Lesbos for refugees has, according to my contacts their, deteriorated since my visit in September. 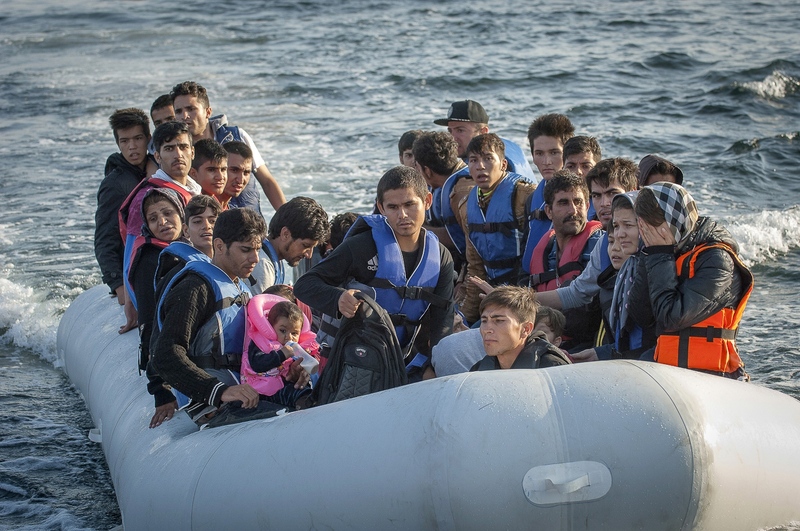 Additionally the sea crossing from Turkey to Lesbos has increased in danger as the season has turned to winter. PIKPA is the name of an old social welfare holiday camp for children established in 1938, situated just a few hundred metres from the Aegean Sea, close to Mytilini Airport in Lesbos, Greece. The site had long since been closed, but in September 2012, a loose group of individuals established a self-help network, initially perceived as an anti-dote to the social and economic devastation Greece suffered from the international banking collapse of 2009. They called their group “The Village of Altogether”. 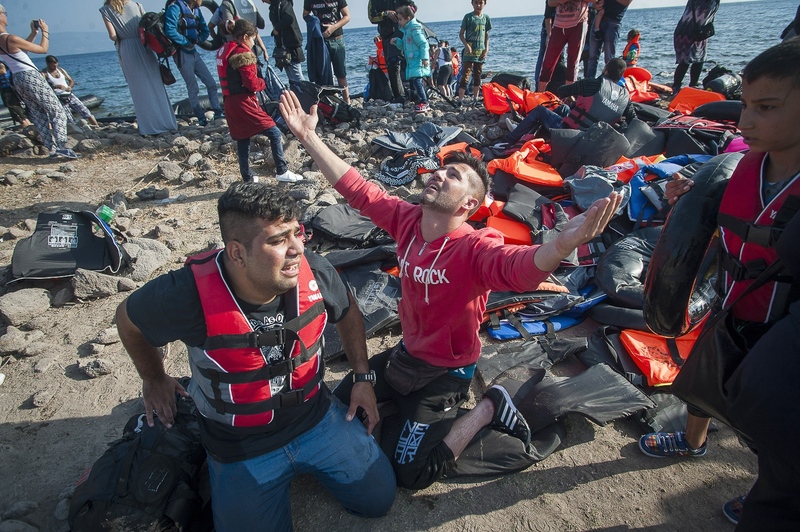 It has expanded since, driven by its ethos of solidarity and mutual support for all people, to fill the vacuum left by official authorities after more and more refugees were drawn to Greek shores from war torn countries like Syria, Afghanistan, Iraq and others. The group approached the Mayor of Mytilini, the Islands biggest town, and requested the abandoned holiday camp of PIKPA be used as a facility to accommodate refugees. “The Village of Altogether” now runs this camp as a safe haven and hospitality centre under the basic concept that all people should be treated with respect and dignity. The autonomous group is devoid of any national or European funding. 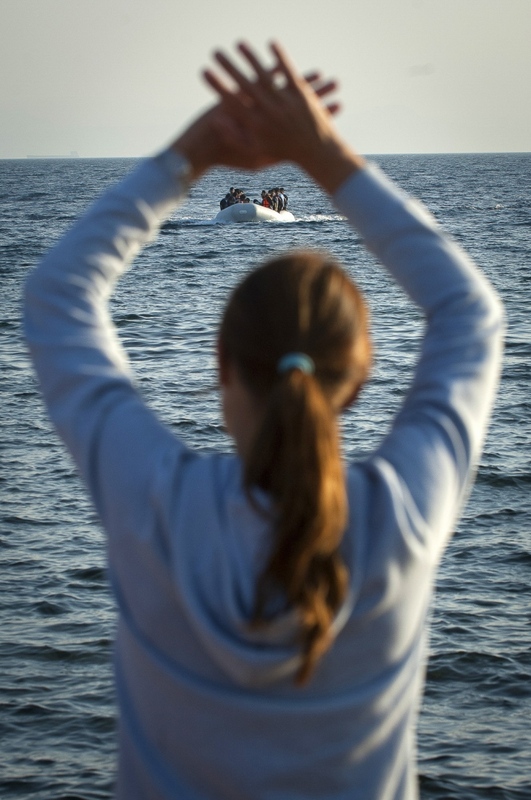 It has over a hundred affiliated individual members on Lesbos, but an active core of around 10 to 15 people. They provide accommodation for the most vulnerable refugees: the disabled, injured, elderly, pregnant women, single women with children and family groups with very young infants are, if possible, referred to PIKPA. Volunteers offer food, clothes, hygienic facilities, medical help, and legal counselling. Most importantly, they offer a warm, safe and open welcome. With the backlog of 20,000 refugees cleared by a “fast track” system temporarily introduced to alleviate the strain on Lesbos’ infrastructure, the island with a population of 80,000 is still receiving an average of over a thousand new asylum seekers each day. There is no end in sight as warfare still haunts the Middle East. Europe is now experiencing its biggest movement of people since the end of the Second World War. A very sobering thought when trying to come to grips with the magnitude of the refugee situation being faced. There is, for example, 6-year-old Abdul Masavee with his sister, parents, and grandmother. The family came from Bamiyan in the central highlands of Afghanistan. 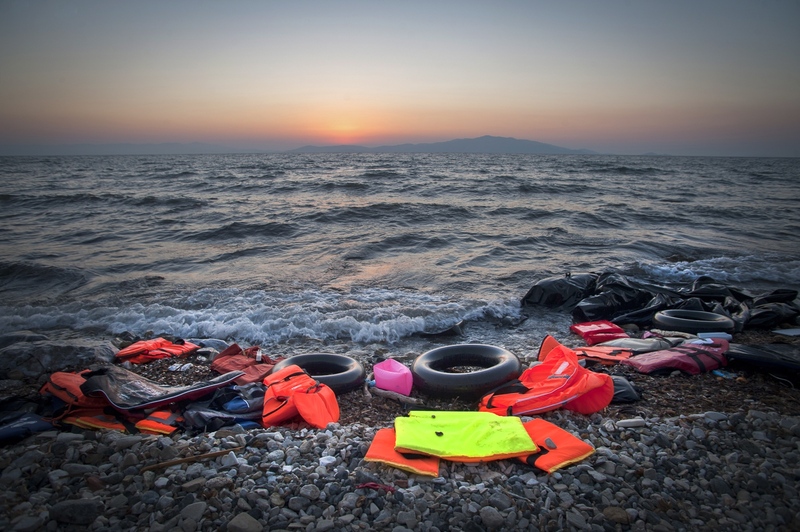 They crossed the Aegean Sea from Turkey in a flimsy dinghy-type boat, described by Erik Kempson as “bits of rubber with the glue coming apart as they cross the water”. 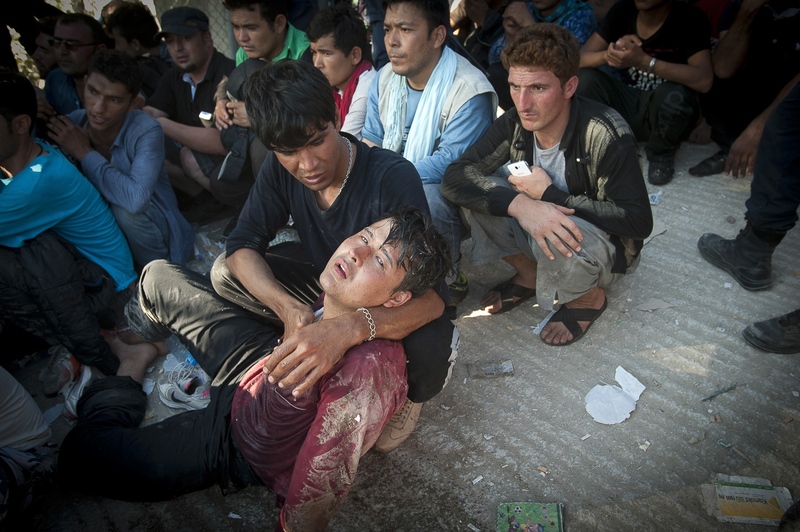 Like all people smuggler boats, their dinghy was so overloaded with people, that Abdul’s leg got broken when he was trampled underfoot in the crowded conditions. 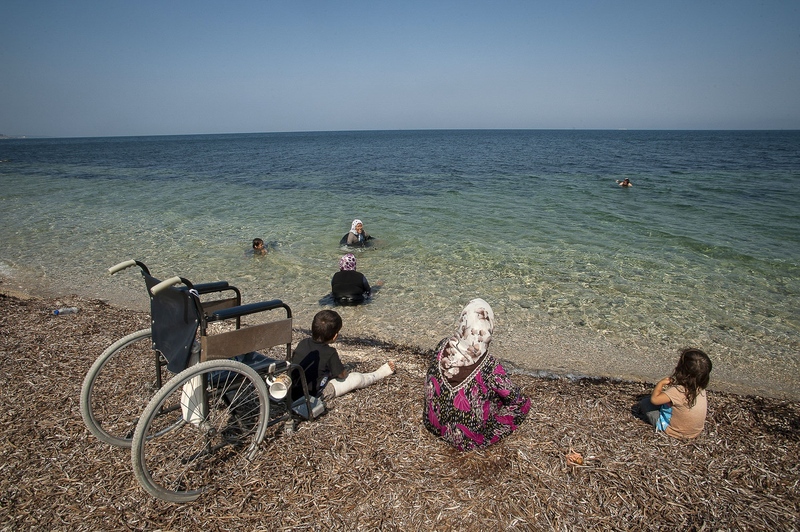 Today, Abdul is riding in his own wheelchair provided by PIKPA down to the beach for the Masavee family’s first ever experience of swimming in an ocean. This scene looks so joyous that one may forget the hardships they as a family have endured. The refugees will now have to walk a further 4 kilometres to the first rallying point, where water, food, and dry clothes are distributed. Hopefully, but not always, buses will take them from there to Oxi, a further rallying point. This bus service is actually quite a new phenomenon and is a result of some of the bigger players in the aid world, such as Action Aid and Doctors without Borders, coming to the island. Previously everyone, men, women and children, the disabled and the injured, would have had to walk as best as they could the 40 kilometres to Moria to be registered and then to Mytilini port for the passage to mainland Greece. 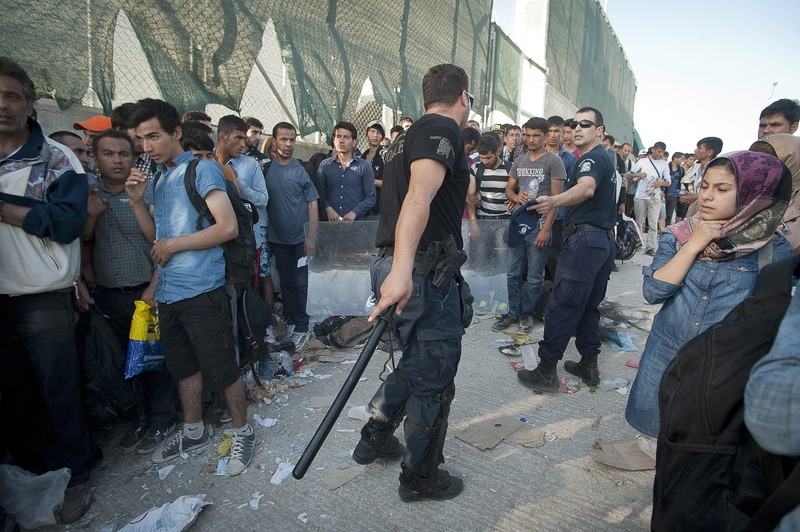 At Oxi they’ll be split into those who are Syrian refugees and “everyone else”. 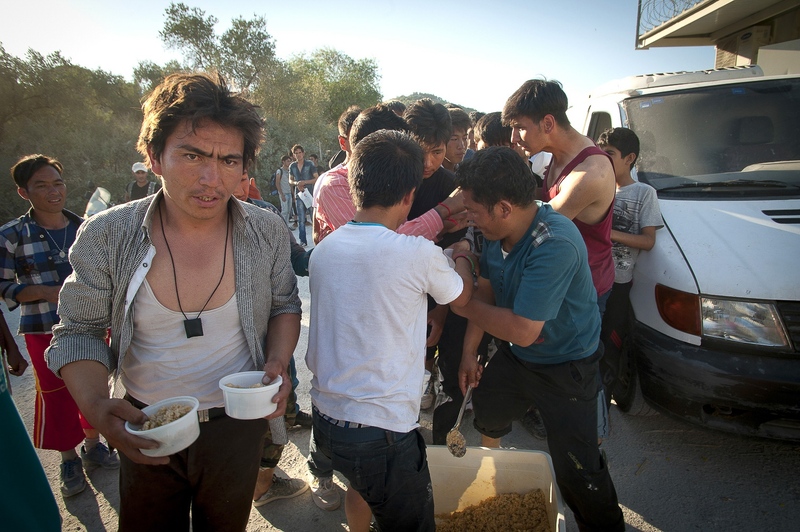 The Syrians will be transferred to Karatepe Registration Camp and “everyone else” to Moria. This segregation has already caused some tensions amongst the refugees. 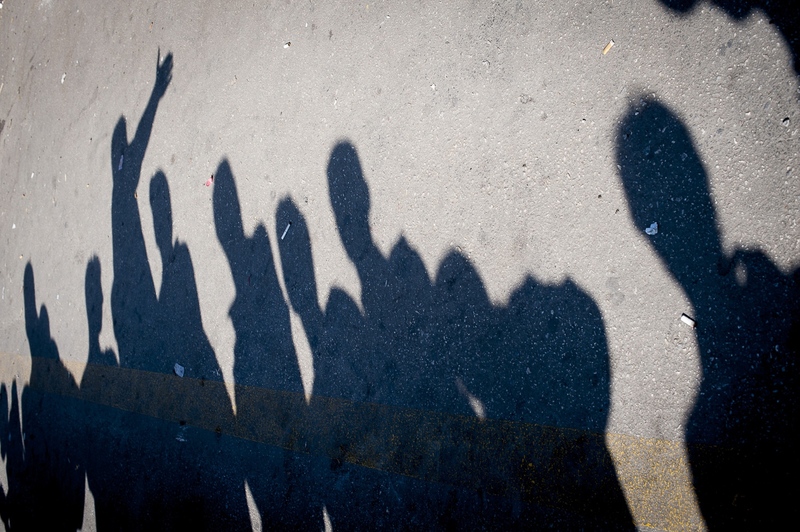 While Syria and its brutal war is present in the daily news headlines of Europe, other asylum seekers from equally dangerous places on the world map feel that they have been forgotten and are being sidelined in the asylum process. The obvious difference between the two registration camps – Moria being hopelessly overcrowded, lacking personnel and the most basic facilities, with poor hygienic conditions – may underpin this perception. After having made it through the registration procedure, a further journey onto Mytilini Port is required to secure their ferry tickets to mainland Greece from where most people’s journeys continue.